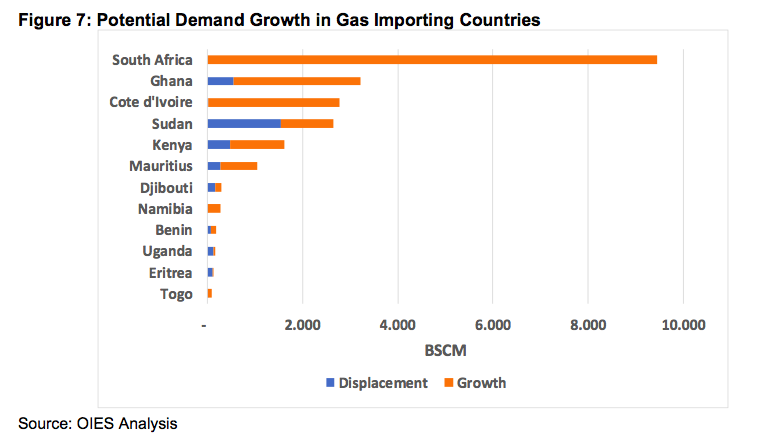 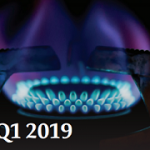 Currently there are no LNG imports within the region, although a number of the countries are considering importing LNG – Benin, Cote d’Ivoire, Ghana and South Africa. 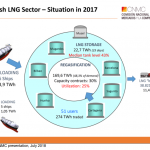 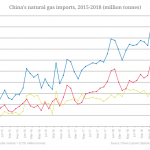 Cameroon has begun exporting LNG and Mozambique and Tanzania are expected to join them in the 2020s. There are also prospects to develop FLNG in Congo and Senegal (jointly with Mauritania).